Left: v2.9.40. Center: v2.9.65. Right: Page title wasn't updated yet. It's a relatively small detail, but Ambient Mode has been renamed to Photo Frame. 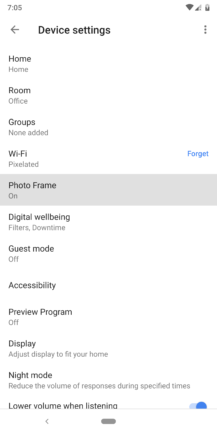 In case the name doesn't give it away, this is the feature that allows smart displays like the Home Hub to cycle through photos when the device is not otherwise in use. This could certainly be a useful feature, both for starting an intercom-like communication between people in different rooms without requiring constant broadcast commands and possibly for checking in on your home when you're not around. Google Home didn't begin with support for very many hardware types, focusing almost solely on lights and Google Home devices, but it is starting to grow to include a bit more. One definite addition will be the Nest Cam, a security camera produced by Google's Nest team. A built-in setup procedure is in the works that will give users the ability to set up the camera natively in the Google Home app. The new lines will ask whether you're installing a sensor to a door or window, then proceed to ask which one, giving you the opportunity to clearly identify each one. The product that's obviously going to benefit from this is the Nest Detect, part of the Nest Secure bundle. 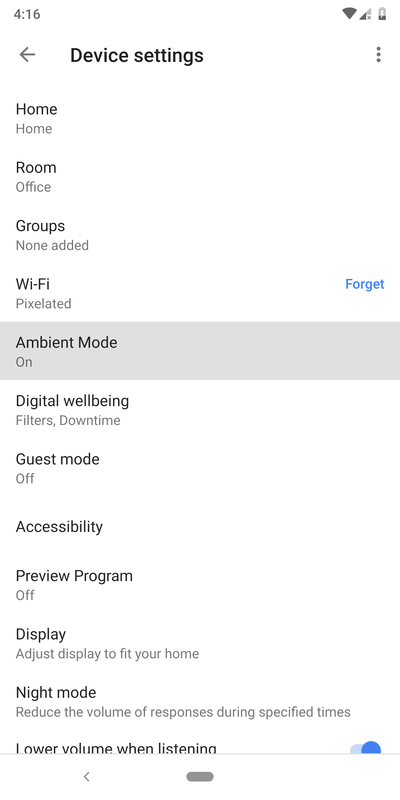 Similar sensors from other manufacturers might also be able to work with this native setup interface, but that assumes Google opens the protocol so others can use it. Two new device names (or types) popped up in the text, but there's no point pretending they are significant because they are just placeholders for the real names. It's possible these are for existing devices that are now being integrated into Google Home, similar to the sensors discussed in the section above, or they might be entirely new devices or types of devices. Both of these could match up with the Nest Cam and Nest Detect, or some other part of Nest's product lineup. The timing is right, but it doesn't make much sense to keep the names secret, so these are more likely to be for new products coming later this year. 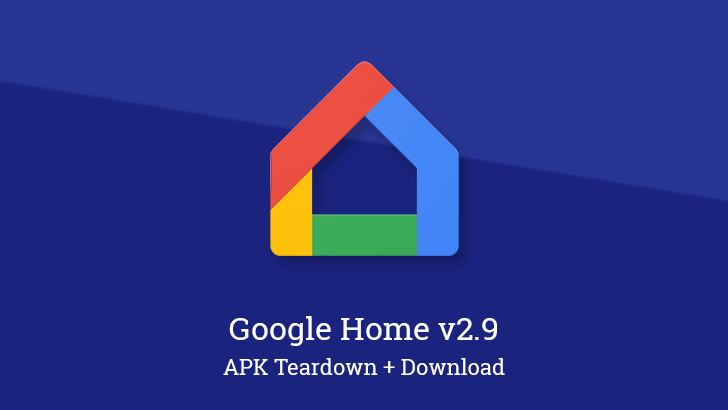 The name FaceMatch emerged in a teardown of the Google app back in January along with a few details about its setup and operations. In short, this appears to be a personalization feature similar to voice recognition that will allow Google Assistant to give responses based on the user it's interacting with. 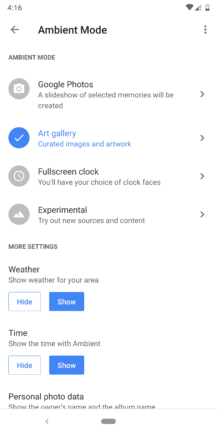 The single line doesn't add any new information, it's just a title for a settings page, but it does name FaceMatch specifically. 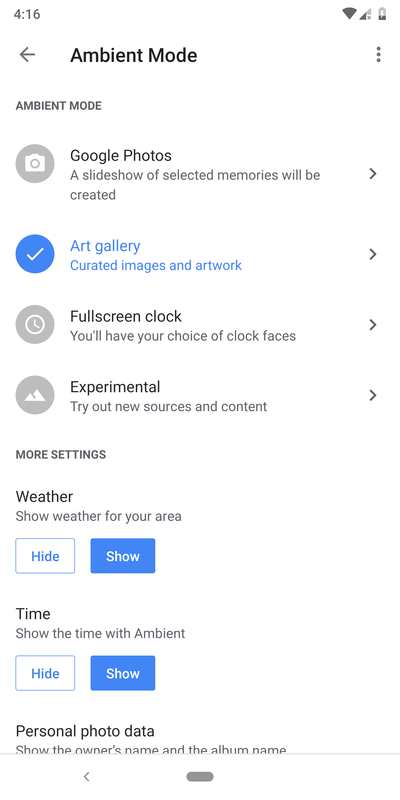 This implies the name is likely final — something that wasn't entirely certain — and confirms that there will be a page in Google's settings area.